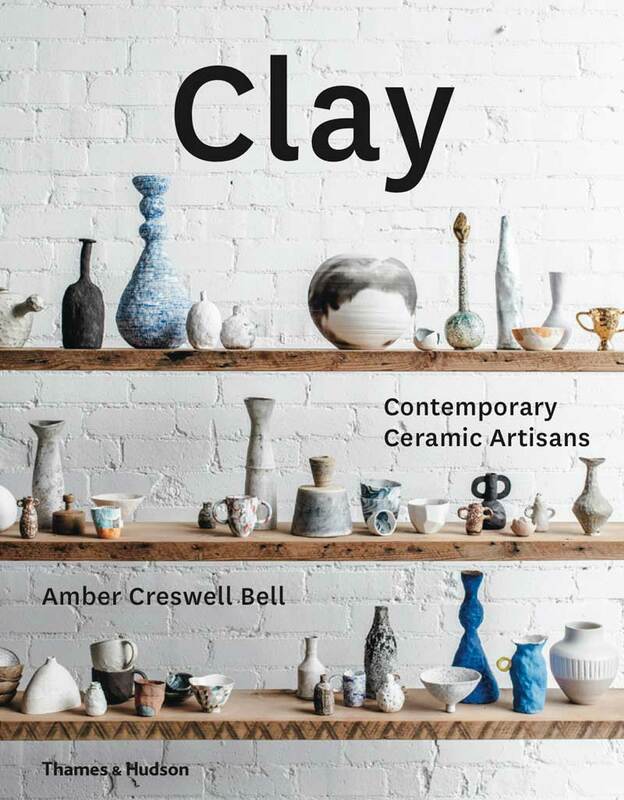 From the functional to the decorative and sculptural works pushing the boundaries of the craft, Clay, written by Amber Creswell Bell, offers a glimpse into the lives and practices of over 50 studio potters from around the world. This is a celebration of the new pottery artisans; a snapshot of a moment of resurgence; and a behind-the-scenes look at the unique and eclectic offerings from independent studios from around the world. Akio Nukaga, Akiko Hirai Collingwood, Alana Wilson, Alex Standen, Alison Fraser, Andrei Davidoff, Anna-Karina, Anna Lerinder, Ashraf Hanna, Brigitte Colleaux, Cecile Daladier, Claire Johnson, Dawn Vachon, Derek Wilson, Florian Gadsby, Frances Palmer, Georgia Harvey, Giselle Hicks, Guy Van Leemput, Hannah Lawrence, Holly MacDonald, Jeremy Simons (Slip Ceramics), Jessilla Rogers, Jono Smart, Julie Pennington, Katia Carletti, Keiko Matsui, Katie Jacobs, Kira Ni, Linda Lopez, Lucile Sciallano, Lynda Draper, Madeleine Preston, Maria de Haan, Maryam Riazi, Milly Dent, Mizuyo Yamashita, Rachel Boxnboim, Ruby Pilven, Sean Gerstley, Sophie Harle, Sophie Moran, Steen Ipsen, Susan Robey, Stine Dulong, Tania Rollond, Tara Burke, Térèse Lebrun, Tessy King, Tracy Muirhead, Ulrica Trulsson, Valerie Restarick, Vipoo Srivilasa. *** SOLD OUT HERE*** Available elsewhere via all good booksellers globally. Buyers can request a signed or personalised book! Simply include the desired text in a ‘special instructions’ note directly on the payment page.